ncrease sales and customer loyalty with the major release 3.11.0 of the prudsys RDE. prudsys AG, market leader in omnichannel personalization for retail, releases Major Release 3.11.0 for the prudsys Realtime Decisioning Engine. Users will benefit from simplified testing, new newsletter statistics and custom recommendations. prudsys AG announces the release of the latest version 3.11.0 of the prudsys Realtime Decisioning Engine (prudsys RDE for short). The personalization software for omnichannel retail allows retailers to increase both customer loyalty and sales by way of a personalized shopping experience across all channels. 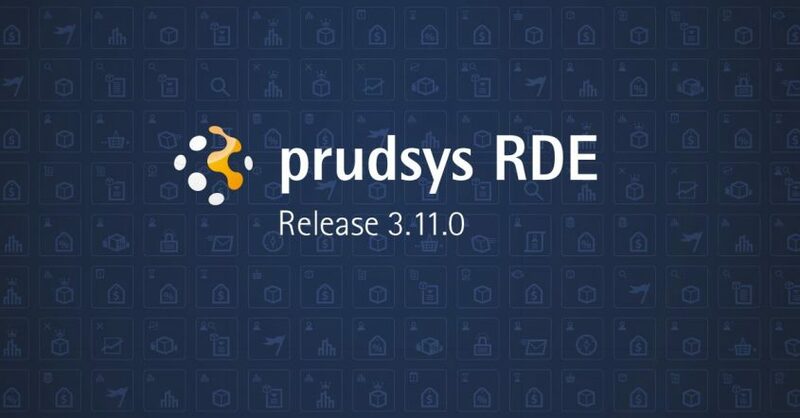 Besides an enhanced usability this Major Release of the prudsys RDE offers retailers a number of useful benefits. Effective immediately, users benefit from more transparency in the template preview. During testing, it is easy to tell which features the product or category has and how the current template settings affect the recommendation result. The user can give the template a title befitting the recommendation logic while configuring the recommendation. This feature minimizes the integration effort required when testing different logics, simplifying the running of A/B tests. The template preview for cluster scenarios has also been improved. With the new version, template tests are also possible on the learning server. The integration of web statistics represents a new tool at the user’s disposal for monitoring the performance of personalized content in the newsletter. The clearly arranged display of key indicators relevant to the newsletter, including opening rates, acceptance of recommendations and sales from recommendations helps users optimize performance control. A wide variety of product recommendation types is available to prudsys RDE users. With this Major Release, the feature that adds individually selected events to certain types of recommendations has been expanded to include category recommendations. Even defined transaction events such as customer wish lists or customer likes when it comes to a product or category can now be tracked. For more information about the prudsys RDE go to https://prudsys.de/en/solution.